This election is still up for grabs, despite what the polls say. The Australian people don’t trust Bill Shorten, the memories of Rudd-Gillard-Rudd are still fresh in their minds, and they are very suspicious of Labor’s ties to violent, militant unions like the CFMEU and extreme fringe-dwellers like the Greens. They are also hurting in their wallets thanks to crazy green energy schemes which look like rainbows and unicorns but actually cost ordinary people their standard of living thanks to astronomical electricity prices. Hit Labor’s legendary economic incompetence hard – push the no-surplus-since-1989 line for all it is worth. Labor couldn’t manage a candy store let alone an economy, and people need to be reminded of this. Labor means higher taxes, more government waste, higher unemployment, lower growth and more debt – it always has and it always will – it’s that simple. Hit Labor’s consistent weakness on borders equally hard – they lie about maintaining strong borders but it’s just that – a lie. Just look at Kevin 07 to see where that ended up last time. The boats will be back on the water before the votes are all counted, and more innocent victims will die at sea. Left-leaning parties the world over are unanimous in their desire to let in as many third-world migrants as possible into Western democracies because they know they will unwaveringly shore up their vote – yes, it really is that blatant. Power is all that matters to the Left. Hit Labor’s delusional climate obsession just as hard – pandering to their Greenie mates, Labor is obsessed with tackling climate change and “saving the Barrier Reef”, despite the fact that any cuts Australia makes to emissions will be swamped by China’s new coal fired power stations in no time at all. All pain and no gain. What’s hilarious is that they are dumb enough to believe that reducing emissions in Australia will somehow make the climate better in Australia – which is patently false since mitigation is averaged over the entire planet and anything Australia does is immediately cancelled out by China and India. Attack Labor’s ridiculous electric vehicle policy, which is laughably ignorant and will essentially cripple the Australian economy. Plus the fact that Bill thinks they can be charged in under ten minutes – twit. Commit to build new high efficiency low emission coal fired power stations across Australia, to guarantee baseload power supplies and keep prices affordable. This would be a huge vote winner for the Coalition, and if they don’t announce this, they shouldn’t even be in government. Lift the ban on nuclear generation. Australia has the largest reserves of uranium in the world, and the largest expanse of Outback in which to store it safely. To prohibit nuclear power generation in this country is criminal. Let’s see how many of these they actually do. I’m not holding my breath. When asked in 10 yrs time what I did when Parliament sided with polluters, I’ll be proud to say I stood for safe climate. RT if you did too. And they say it like it’s a bad thing…! The Australian state of Tasmania is a wonderful example of what happens when you let the Greens get a grip on the levers of government. Unemployment spiralling upwards, and the economy spiralling downwards. So what better way to make sure that Tassie disappears completely down the gurgler than to tie it up in yet more Green tape. That’ll fix it! The Tasmanian Government has released a climate change strategy aimed at 100 percent renewable power usage by 2020. The Climate Smart Tasmania plan includes energy reduction targets across government, land use, infrastructure, transport and waste systems. The Climate Change Minister, Cassy O’Connor, says its the most comprehensive plan by any Australian Government to reduce carbon emissions as well as adapt to a changing climate. The strategy sets a new interim 2020 target to reduce carbon emissions to 35 percent below 1990 levels. Ms O’Connor says its about showing leadership on climate change. Climate change is the biggest challenge we have ever faced. After many decades of scientific evidence that the world is warming, governments and communities around the world are now taking action. The Tasmanian Government, through this Strategy, has committed to take State-based action to address the climate issues affecting our State, to build on our low-carbon advantage and to ensure we meet our fair share of the global emissions reduction effort. While Tasmania’s emissions represent only 1.3 per cent of Australia’s national total, we still have higher per capita emissions than Germany, the United Kingdom, China, Brazil and India. We are also noticing the impacts of climate change, such as higher average temperatures and more intense extreme events such as bushfires. Let’s just do the math here: 1.3% of 1.5% (Australia’s emissions as a percentage of the global total) is less than one fiftieth of one whole percent. But the government is prepared to sacrifice jobs, standards of living, the economy, to make an utterly pointless gesture? 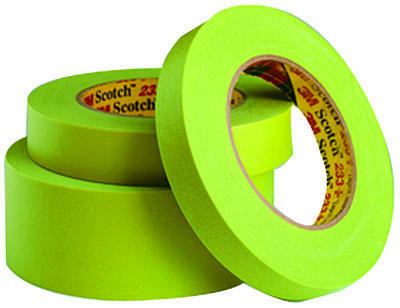 If you don’t believe it (which I didn’t at first), you can read about the miles and miles of Green tape here (PDF – 2.8MB). Adam Bandt is a typical Greenie, and because he, like all the rest of them, is on an ideological crusade and possesses no brains, he is unable to understand even the basic facts about Australia’s contribution to “global warming”, which is why Bandt has claimed on social media that the Coalition’s climate policy will cause more bush fires, like those suffered by many areas yesterday. Mr Bandt said the link between extreme weather events and global warming needs to be recognised. “Global warming is the biggest threat to Australian life,” he said. Not quite sure why Bandt finds this so difficult to comprehend, but Australia’s emissions are 1.5% of the global total. If we reduced that to zero overnight, it would make no difference at all to the climate. As it is, we are only planning to reduce by 5% by 2020, or in other words, 0.075% of global emissions, when the major emitters are doing close to nothing by comparison. 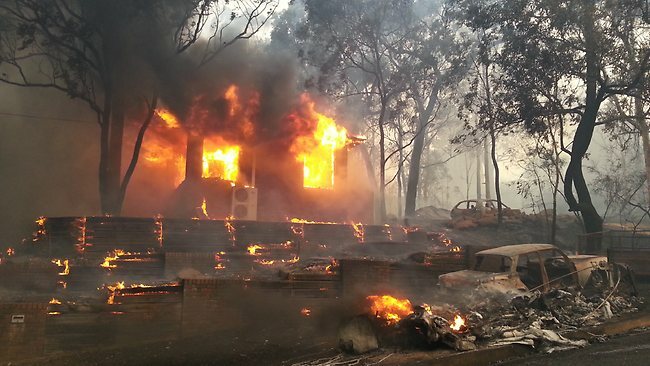 And Bandt thinks that will make a difference to bush fire frequency or intensity? Idiotic statements like this will ensure the Greens are consigned to the sewer of Australian political history, where they rightly belong, from whence they shall be flushed out into the sea with all the other turds. 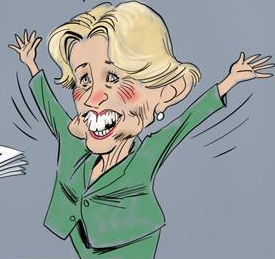 The slow and painful disintegration of the Labor/Green alliance is a joy to watch – Labor’s chickens are all coming home to roost. But at the same time it reveals the astonishing hypocrisy at the very heart of the ALP. Back in 2010, Labor were only too happy to welcome the Greens into their fold, with friendly handshakes and smiles all round and Bob ‘n’ Julia signing their marriage pact before the assembled press. Only later did we find out that a condition of the Greens’ support was “taking urgent action on climate”. So Julia, abandoning a pre-election promise not to introduce a carbon tax, announced that she would be doing precisely that. Why did Labor MPs not protest back then at that cowardly surrender of principle? There was just a stony silence, because they had agreed to sell out their principles (such that they were) to stay in power at any cost (and what a cost it will turn out to be). But now, barely a week after the introduction of the carbon tax, Labor has apparently and suddenly rediscovered those principles that it so hastily rejected in 2010, and is now desperately trying to distance itself from the extreme-Left party of environmental headbangers with which it chose to share a bed. It’s nothing short of pathetic. And the most pathetic figure in all of this is Greg Combet, climate change minister, who, despite having relied on the Greens to get his disastrous carbon tax through Parliament, now lines up to criticise the Greens with the rest of his Labor mates – breathtaking. SENIOR Labor Left figures have backed calls for the party to take a tougher line against the Greens as members of all factions lashed the minor party for its stance on offshore processing and contempt for blue-collar workers. 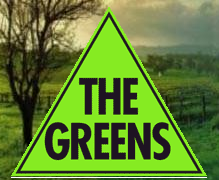 As the NSW Nationals yesterday revealed they expected to preference the Greens last at the next election, Labor Left faction convenor Stephen Jones said he expected that NSW general secretary Sam Dastyari’s motion to take a tough line on Greens preferences would pass the state conference. Senior left-aligned minister, Greg Combet, distanced the government from the Greens, declaring Labor did not share the same values. Double standards, Greg. You only have different values and policies when it suits you. 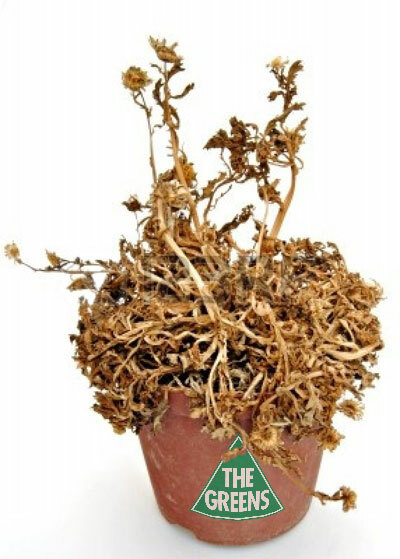 When you need the Greens, those policies and values are abandoned in an instant. Because you have no principles other than staying in power. Shameful.